Congratulations to our staff who've recently passed their exams! 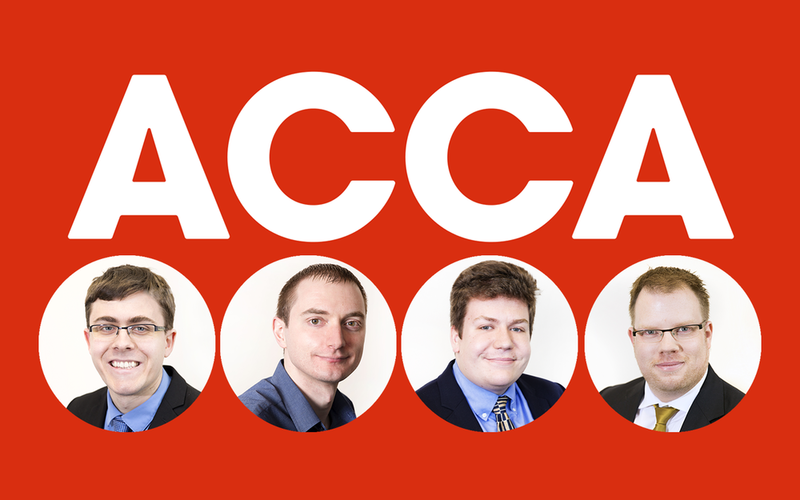 Four members of our Financial Accounts team have recently passed their ACCA exams. Chris: "I found P2 International Corporate Reporting interesting as it enhanced my knowledge and understanding of reporting, and with the pass result I can happily say another bites the dust, only two to go!" James: "I have now passed the half way mark, with 6 exams passed I only have 5 more exams to go." Stephen: "Passing ACCA P6 advanced taxation will help me better advise clients on such matters as tax planning. Learning about employee share schemes and EIS/SEIS tax reliefs is of particular relevance to our clients. The knowledge I’ve gained from completing this paper will also help me answer other colleagues’ tax-related questions as and when they arise"
Read more about the ACCA qualification here, the 'global body for professional accountants'.